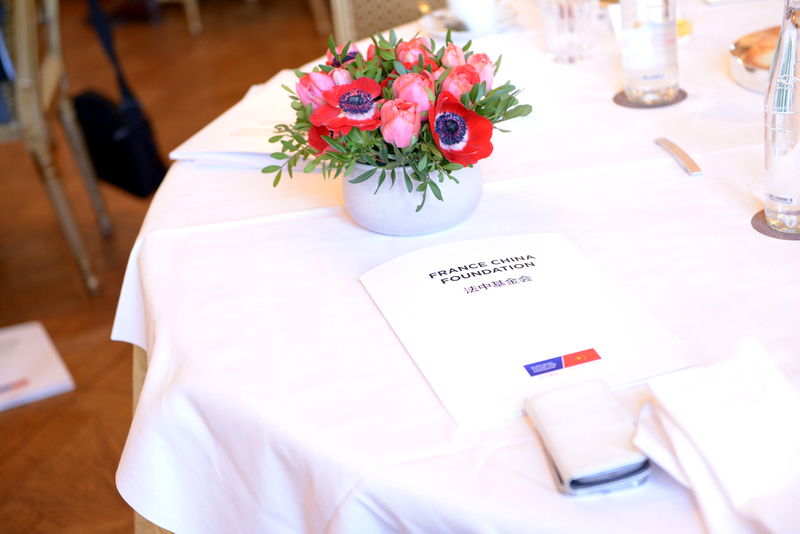 The Steering Committee is composed of the founding members of the France China Foundation and of French and Chinese personalities chosen for the important role they play in the political, economic and cultural relations between both countries. The Steering Committee approves the annual budget and program activities. The members of the Committee meet twice a year, once during the annual session of the Young Leaders Program. Cyril Benoit chairs investment bank B&A Investment Bankers, which he founded in 2011. B&A intervenes in cross-border transactions, in particular between France and China. Cyril Benoit worked from 2007 to 2010 in London as Principal of Perella Weinberg. From 2003 to 2007, he was a senior executive at Unibail-Rodamco. His positions included Head of Corporate Development and M&A, CIO/CFO of the shopping center division as well as member of the Strategic Committee of the group. Previously, Cyril Benoit worked at the French Treasury Department and contributed to the creation of the French Government Shareholding Agency. From 2000 to 2002, Cyril Benoit was Advisor to the Minister of Economy, Finance and Industry (Laurent Fabius). Before 2000, Cyril Benoit notably worked at the Office of Congressman Tom Lantos, in Washington D.C., and at the Office of the President of the French Chamber (“Assemblée Nationale”). Cyril Benoit is the president of “Vouloir la République » think-tank, which he has founded in 1995. He was also the Chairman of the Supervisory Board of the Aspen Institute France from 2013 to 2015, and one of the founders of the public interest organization “Fondation France Israël” in 2006. Cyril Benoit graduated from Ecole Normale Supérieure Lettres et Sciences Humaines and the Université de Paris-IV Sorbonne in philosophy. Sébastien Billioud is Professor of Chinese studies and Head of the East Asian studies department of University Paris-Diderot, Sorbonne Paris Cité. Based on a cross-disciplinary approach in anthropology and intellectual history his research explores the modern and contemporary fates of Confucianism in a variety of realms such as philosophy, education, religion and rituals, social practices and politics. Among other works, he is the author of Thinking Through Confucian Modernity and co-author of The Sage and the People, The Confucian Revival in China. The French version of this book was awarded the 2015 Bernheim Prize for the History of Religion by the Académie des Inscriptions et Belles-Lettres. Before his appointment as Professor, Sébastien Billioud was successively visiting scholar at the Chinese Academy of Social Sciences, Chief Editor of China Perspectives and Researcher at the French Center for Research on Contemporary China in Hong Kong and Associate Professor at University Paris-Diderot. A graduate from HEC Paris (1993), Sébastien Billioud also holds a MA in Law (U. Paris 2), a Ph.D. in East Asian Studies (U. Paris-Diderot, 2004) and a Habilitation for the supervision of doctoral theses (INALCO, 2012). Edouard Courtial was born in 1973, went to school in Clermont and Compiègne but grew up in Agnetz, a town in which his father was the mayor since 1989. He studied economics and management at Paris-Dauphine University and obtained a master degree at ESSEC business school. Between 1999 and 2001 he worked as a financial auditor for Ernst & Young and Cap Gemini as strategy consultant. By 2002, he decided to serve his fellow citizens and run for constituency in the 7th district of Oise Department where he is deeply rooted. At the age of 28, he has been elected at the French National Assembly, and was the youngest member of parliament in France. The next year, after his father passed away, he followed his career and became Mayor of Agnetz city in 2003 where he has been re-elected in 2007. Later on, in 2012 he has been re-elected against the President of the Regional Council and former Mayor of the biggest town of the district, Clermont. After he won the Oise Department Council Presidency in 2015, he had to step down from his Mayor position to comply with the new French law. Former Secretary of State in charge of French nationals abroad, between 2011 and 2012, he is still member of the Foreign Affairs Commission of the French National Assembly and chairs Estonia, Colombia and Lithuania Friendship groups. Deeply committed to his political family, Edouard Courtial has been in charge of local federations of his party and is currently political advisor of former French President, Nicolas Sarkozy. Coralie Dubost is a lawyer with degrees in private European law, and European law and international human rights. Her years of professional experience in strategic consulting, decision-making support and team management during project implementation have honed her ability to understand the challenges facing the business world, from small and medium-sized companies to multinationals. Coralie Dubost has published several articles on non-discrimination in European and international law, and the social responsibility of companies. Fang Yi, founder and CEO of GeTui (Merit Interactive, Stock Ticker: 300766), B.S. from Chu Kochen Honors College, and M.S. in Computer Science and Engineering from Zhejiang University. As a serial entrepreneur since 2005, Fang founded GeTui in 2010. GeTui, a leading data intelligence company in China, is the first data intelligence company listed on the Shenzhen Stock Exchange. Pioneering in third-party push notification services, GeTui gave rise to an ecosystem that connects hundreds of thousands of developers and apps in China. With Fang’s leadership and a commitment to create “Tech for Daily Life,” GeTui has conducted in-depth exploration in the big data industry and has served diverse industries including mobile internet, brand marketing, financial technology, smart cities and tourism, and public affairs. Fang was the recipient of the first prize of the “China Innovation and Entrepreneurship Competition” organized by the Ministry of Science and Technology, and was selected into China’s national “Ten Thousand Talent Program” for tech entrepreneurship and leadership. He was also reported on the front page of New York Times as China’s emerging tech entrepreneur on the same day that Alibaba was listed on NYSE in 2014. In 2016, Fang Yi was invited to the 63th Cannes Lions International Festival of Creativity and delivered a keynote speech about GeTui’s breakthrough exploration in data intelligence. Fang believes in the era of intelligence, data are the key to break new ground, expedite tech innovation, and transform everyday life. In the never-ending journey to data intelligence, Fang and his teams are committed to go above and beyond. Allen Guo is a serial entrepreneur and venture capitalist. He is founding partner of 2048 capital investing in Internet and Deep Tech: AI, Blockchain, IOT and Healthcare. . Still a PhD student in UC Berkeley, Allen founded Baihe.com, which later became the largest online matching making service in China. He also founded Yobo.com, a personalized mobile music platform, which he sold to China Mobile. Allen has regular contact with France and is currently developing a new investment vehicle to connect France and China’s booming tech and capital market, with a focus in AI. Allen Guo received BS degree from Tsinghua University with highest honour, and was a PhD candidate at UC Berkeley’s EECS department when he started his entrepreneurial career. He was Mayfield Fellow and Hitachi Fellow at Haas School of Business. Jiang Qiong’er, founder of SHANG XIA, is an internationally renowned designer. After many years studying in Europe, Jiang brings a cosmopolitan approach and bi-cultural experience to her designs. Respectful of tradition, she draws inspiration from a vast range of sources, and this is reflected in her versatile work, of which is collected by museums around the world. In 2009, she established the contemporary lifestyle brand SHANG XIA, and took the positions of artistic director and CEO. Jiang Qiong Er and SHANG XIA are dedicated to bringing fine Chinese crafts to the world. They infuse traditional crafts with contemporary design, weaving concepts from East and West to create a 21st century lifestyle. The creations received wide acclaim and distinguished design awards at national and international level, with the works collected by world-class museums like British Museum, Musée Guimet and Musée des Arts Décoratifs. In 2011, Jiang Qiong Er was named as Forbes 25 Most Influential Chinese in Global Fashion and Lifestyle. In 2013, she was honored “Chevalier des Arts et des Lettres” of the French Republic in recognition of her contribution to cultural exchange between China and France. In 2014, Jiang was honored as Cinquantenaire des Relations Franco-Chinoises “50 Ans 50 Personnes”. And in 2016, she was then honored by French Government as “Chevalier de L’Ordre National du Mérite” in Shanghai. Included in his work experience are: special assistant to the CEO of Morgan Stanley Huaxin Fund Management co. ltd, director of Cedarlake Capital Investment co. ltd, and positions in Morgan Stanley and Ontario Teachers’ Pension Plan. Jack Lo obtained a double degree in political science and economics in Penn State University. Antoine TESNIERE is specialized in Anesthesiology and Intensive Care, and has a full time position at European Hospital Georges Pompidou, APHP, the most recent University Hospital in Paris. He is the co-founder and CEO of iLumens, a university-based simulation center at University Sorbonne Paris Cité. iLumens is an innovative simulation department that develops new training and research programs using all simulation modalities and virtual environments (serious games) for every healthcare professional. iLumens is expanding internationally through a wide variety of training and research programs. Antoine TESNIERE is also Dean for Medical Education at Paris Descartes Medical School, the largest French medical school, and Vice Director of the Doctoral Program « Frontiers in Life Sciences » at the Center for Interdisciplinary Research, University Paris Descartes, one of the most innovative PhD programs based on interdisciplinarity. He recently became scientific advisor for the Ministry of Higher Education, Research and Innovation. Antoine TESNIERE was trained at University Paris Descartes and Harvard Medical School. He holds an MD, from University Paris Descartes, and a PhD in tumor immunology, from University Paris Sud. YAN Lan was graduated from Beijing Foreign Studies University, Peking University and the Geneva-based Graduate Institute of International Studies. She is a French lawyer. In 1991 she joined the French law firm Gide Loyrette Nouel, and became a partner in 1997. From 1998, she managed the firm’s Beijing representative Office. Since 2011, she was appointed Managing Director and Head of Greater China Investment Banking of Lazard. Yan Lan is also arbitrator of China International Economic and Trade Arbitration Commission, French Foreign Trade Advisor, independent administrator of China Merchants Bank, vice president of the Women’s Forum for the Economy and Society (Asia), president of the Advisory Board for the Beijing International Music Festival and chairman of “CHINA HERITAGE SOCIETY”. On November 1st, 2012, she was made a Knight of the National Order of the Legion of Honour. YAN Lan is special advisor to the France China Foundation.